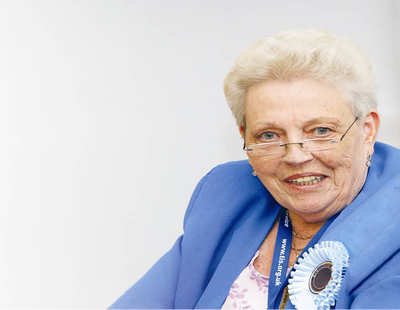 This year TIS received more nominations than any previous year for the Frances Nelson MBE Award, which recognises exceptional achievements and contributions towards the tenants’ movement. TIS received outstanding nominations for the two categories; for Umbrella Tenants’ and Residents’ Organisations and for Local Tenants’ and Residents’ Organisations. Five judges met on 2nd May in Glasgow to decide which exceptional Tenants’ and Residents’ Organisations should be the recipients of the Frances Nelson MBE Award 2013. The judges were Michael Boal of the Scottish Government; Sandra MacIntyre of Grampian Housing Association; Suzie Burt of Perth and Kinross Council; Alan Todd, Executive Council Member of TIS, and Phyllis Gillan of West Dunbartonshire Tenants and Residents Organisation. The judges found themselves with a difficult challenge trying to choose winners from the high quality of the nominations received. However consensus from judges revealed that they found it a valuable experience and a very worthwhile process to be part of. Michael Boal, Social Housing Charter & Regulation Manager for the Scottish Government commented “I was delighted to be involved in this year’s Frances Nelson award as it publicly recognises the achievements of tenant groups across the country. All the entries demonstrated how these groups have brought real improvements for the people and communities they represent”. The winners and runners-up will be revealed at the Award Ceremony at the Gala Dinner, as a part of the TIS Annual Conference on Saturday 1st June at the Crowne Plaza Hotel, Glasgow. Awards will be presented by John Alexander, Housing Convener for Dundee City Council. If you would like to find out more about the Frances Nelson MBE Award or about the TIS Annual Conference please email info@tis.org.uk or telephone 0141 248 1242.